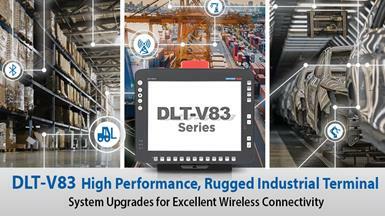 January 26, 2017 (Taipei,Taiwan) - Advantech-DLoG, a leading mobile computing platform provider, is pleased to announce TREK-572 – a next-generation ultra-compact in-vehicle computing box that can be easily paired with TREK-303/306 in-vehicle smart displays via a single-cable connection. Designed to provide an industrial-grade fleet management solution that can withstand harsh environments, TREK-572 is powered by an Intel® Atom™ E3815 system-on-chip (SOC) processor, equipped with a wide operating temperature range (-30 ~ 70 °C), and certified to MIL-STD-810G and 5M3 standards for shock vibration tolerance. Rich built-in RF features, including WLAN, WWAN (GPRS/HSDPA+/LTE), GPS, Bluetooth, and Wi-Fi technology, enable vehicle tracking and positioning, as well as real-time data transmissions to a centralized control center via WWAN roaming (supported by a SIM card). In addition to the default system I/O, which includes Line-Out, Mic-In, 4-wire RS-232 (RX/TS/CTS/RTS), GigaLAN with standard RJ45 connector, J1708, and a USB 2.0 (Type A) port located at the rear of the device for convenient access and maintenance, TREK-572 supports a variety of I/O connectors for integrating CAN bus devices and peripheral systems, such as camera or a tire pressure monitoring system (TPMS). TREK-572 also features dual CAN bus ports (J1939, J1708/J1587, ODB2/J15765) and supports diverse vehicle protocols (J1939, OBD-II/ISO 15765) to facilitate vehicle diagnostics data collection and driver behavior management. The inclusion of an intelligent vehicle power management (VPM 2.0) chip provides vehicle power monitoring and protection from transient voltage (ISO 7637-2/SAE J1455/SAE J1113), enables programmable power functionalities (ignition on/off, delay on/off, and low battery monitoring), and supports custom wakeup events (wake-on-call, G-sensor, RTC alarm, and DI). This enables fleet managers to conduct remote management and set custom parameters to ensure the entire system can withstand critical vehicle environments and challenging usage scenarios. Finally, TREK-572 is also equipped with Advantech’s Mobile Resource Management Software Development Kit (MRM SDK), which simplifies software integration by enabling system integrators to interact with the hardware directly, thereby reducing development time and accelerating deployment. With its lightweight (1.15kg) ultra-compact (188.9 x 63.5 x 105.9 mm) form factor, TREK-572 is the smallest of Advantech’s in-vehicle computing boxes, making it suitable for installation in a wide range of vehicles and limited spaces. Compliant with EN60721-3(5M3), SAE J1455, J1455, and MIL-STD-810G specifications for shock/vibration resistance and featuring a wide operating temperature range (-30 ~ 55 °C), TREK-572 provides an economical and robust ultra-compact in-vehicle solution with the durability to withstand operation in extreme environments, making it ideal for local, regional, and long-haul fleet management, particularly law enforcement, emergency service, public transportation, and standard commercial fleets. Moreover, TREK-572 can be easily paired with other TREK solutions, such as the TREK-303/306 in-vehicle smart displays, via a single-cable connection, ensuring convenient installation. TREK-572 features a next-generation vehicle I/O communication interface connector that supports the J1708 interface with J1587 protocol and dual CAN bus interface with several configurable protocols including Raw CAN, J1939, and OBD-II/ISO 15765 to enable intra-vehicle communication between various vehicle components and subsystems. The embedded vehicle communication interface layer (VCIL) provides an interface between the OS and STM32 that enables multiple protocols to be run simultaneously in order to communicate data across platforms. TREK-572 can also be integrated with additional peripherals and advanced driver assistance systems, such as a camera and TPMS, for providing valuable alerts to further enhance vehicle safety. 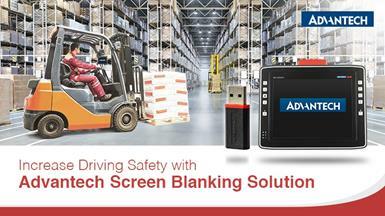 Founded in 1983, Advantech is a leading provider of trusted, innovative products, services, and solutions. Advantech offers comprehensive system integration, hardware, software, customer-centric design services,embedded systems, automation products, and global logistics support. We cooperate closely with our partners to provide complete solutions for a wide range of applications in diverse industries. Our mission is to enable an intelligent planet by developing automated and embedded computing products and solutions that facilitate smarter working and living. With Advantech products, the number of potential applications and innovations made possible becomes unlimited.